How Can I Make Money online on the internet? 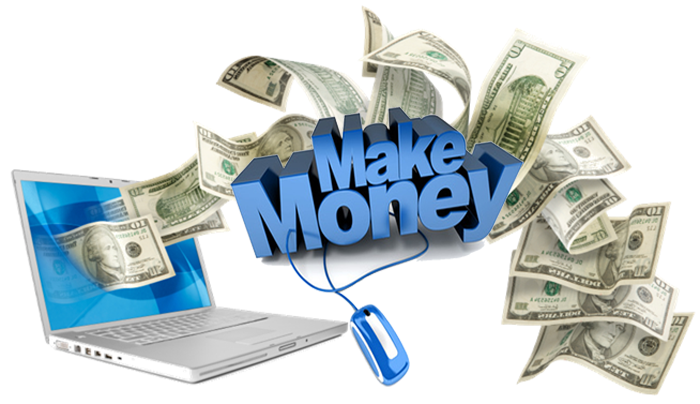 That Sounds interesting… every one find the real method to make money online. Is this Possible? Yeah! It is possible for anyone to build up a permanent (passive) extra income after a certain period of time. There is a first easiest method to make money via blogging just select a topic in which your interest or you have knowledge, example if you have cricket knowledge let’s start make a cricket blog the next step is buy a domain and web hosting it will cost approx $50 usd, make a blog and write article and post on your blog, you can also check how to make a blog the important thing is article must be unique in your own words if you can’t write than hire a writer, now come to the earning point how to monetize your blog there are many PPC Networks like Google Adsense, infolinks, Media.net etc Google Adsense is best monetizing option in the World, signup for Google adsense after approval your application they will give you ads put these ads on your site, Share your site on social media when your blog become popular and got rank in google than make money by displaying ads. What is Vlogging and How to Be a Vlogger? Vlogging is a new term which drive from “Video Logging” this is same as blogging just add a video with your article for example if you write a review of any “xyz” product and also make a video on it than post article along with video. you can use same monetizing option in Vlogging. You can make money with your blog by promoting products or promoting by social media. There are several ways to promote a product, email marketing a product can be marketed well via an email list. Forum posting, blog commenting etc… It’s up to you which option you chose called affiliate marketing. An affiliate promotes a foreign product on the Internet and the commission will be payable if the customer buys the product. Different networks provide affiliate product, such as ClickBank, Amazon etc, in which the affiliate has just login and then he can pick out the different products. Mostly high profit margin in digital products, because they often pay 70% of commission. The easiest way to start make money on the internet is definitely the Freelancing. Freelancer is a self-employed person, in freelancing you have must required a skill, if you don’t have a skills you’ll be nothing. Websites and Domains for sale is a relatively new way to make money on the Internet. To judge the value of sites and domains correctly, however, its require many years of experience. One of the most attractive ways to make money on the Internet is creating a members page. On these pages you can offer or create a network in your niche either information, products or services. If you are a teacher yes you making a decent income through teaching online by giving paid training. In the beginning you make free videos and uploaded on Youtube, dailymotion, vimeo etc and make money by displaying ads and also you will get audience and fan or follower. For recording lecture use camtasia, super recording etc software. This is very cheapest method no investment required in teaching. Thanks so much for your kind comment. Passion in food can be found most anywhere and it is great to find it in unceteepxd places, and by seemingly unlikely folk.